For me, this self-titled release turned out to be one of the most enjoyable releases of 2017! With scarcely a mention anywhere, it arrived without a fanfare of hyperbolic furore, on the contrary, happenstance played a major part in this particular discovery. So who or what is Hitiro? Some ancient Japanese name or culture perhaps? Well an internet search revealed little, other than a short trailer for a martial arts movie, hopefully never released, as the minute and a half teaser was bad enough. The who, are three seasoned musicians based in the Derbyshire area of the U.K., who after a lifetime of playing in cover bands decided to see what that wealth of experience could bring to their own writing. That wealth of experience is evident throughout the seven instrumental tracks, which take their allegiances equally from rock and blues, prog and fusion, jazz and funk, and with a few calling cards in between. So returning to the coincidence and that fateful first visit to the Hitiro Bandcamp page. Without paying much attention I pressed play and was immediately taken by the atmosphere of the “opening” track, Urban Myth, full of space and texture, with Simon Hall’s superb fretless bass nicely held in place by Martin Ball, on drums and neatly glued together by Alan Brown’s liquid guitar. However as the album’s longest piece, the tranquil, slow builder After The Flood unfolds, I’m starting to wonder if this is reflective of the album as a whole, and if so it may turn out to be a little too laid back for my tastes. And then there’s a long silence? Doh… Urban Myth isn’t the album opener, it’s just where the album starts on Bandcamp :0). Right… so on to track one then, and The River, charting the course of a babbling brook, through more turbulent waters before reaching its destination in a wide estuary. Musically the composition captures the journey wonderfully, utilising the band’s varied influences to depict the changing environments. Got to mention Simon Hall’s superb funky fretless groove that holds the middle part of the track together – wonderful! The band’s obvious passion for African music shines out here, with some Zawinul influenced merriment thrown in for good measure. There’s a gorgeous Q&A section early on, and the last minute and half of the track sees the guys truly cooking on gas. Can’t help but smiling every time I listen to this – track of 2017 for me! That leaves Resumé as the only track I’ve not touched upon. According to the band this was their first composition and in many respects summed up what they were about and what they could achieve. I’d go along with that, in so far as it includes the various elements that constitute Hitiro’s sound, however there is a far greater depth to this release than the guys may have initially thought. 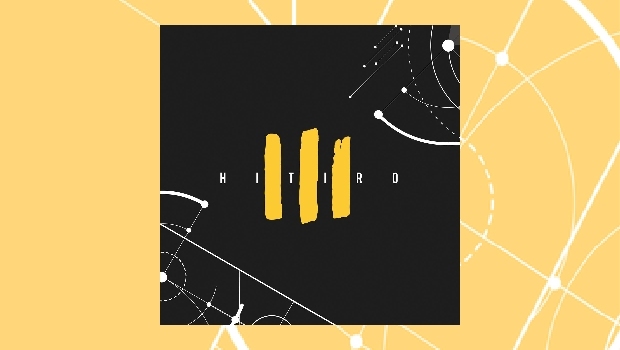 Hitiro is a truly enjoyable album, fusing together some fairly disparate influences into a varied and cohesive end product. And, listened to from start to finish in the correct order, has a natural flow and one that simply gets better each time you listen. Urban Myth and the absorbing After The Flood, make a fitting conclusion. As might be expected this is a mature, skilfully conceived debut and bodes well for future releases.